A: Graduated from Staten Island college in 2004. I went to Bayley Seton Physician Assistant Program (BS in Science). 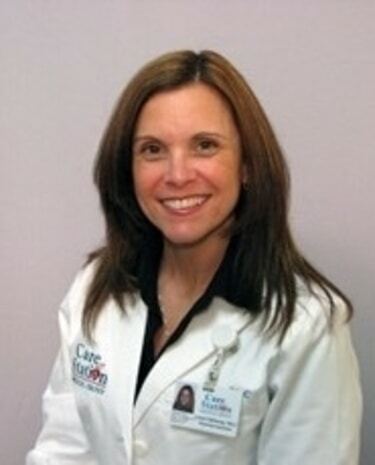 I previously worked at Coney Island Hospital Orthopedics and joined Care Station in 2004. A: I wanted to help people. I love the challenge of medicine. A: Variety of patients. Exposed to many changes and learning experiences. A: Compassion, joint injections/suturing. I’ve been advised that I have a gentle touch. A: Listening to patients, helping people when they are sick, hurt or need medical advice or just a friendly opinion. A: My children - the best gift and accomplishment in my life. Loving and being a Physician Assistant. Having a good relationship with my patients. A: The challenge of time. I always want to spend a lot of time talking with patients on a professional and friendly level. A: Maybe law or working with protecting children. Example: Open a home for children to be safe until they can be cared for. A: Friendly atmosphere, meeting new people all the time, family environment. A: We really do look out for the well-being of our patient. We treat our patients like family. A: Love helping people and building friendships. A: Being with my family and friends.